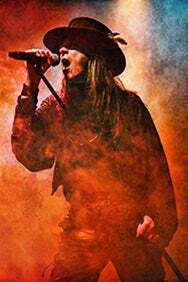 We do not curently have theatre tickets available for Fields of The Nephilim This could be because we have simply sold out or it could be that this show is no longer running. The information on this page remains purely for historical and informational purposes. Goth-rock legends, Fields Of The Nephilim will be playing three very special headline shows this autumn to celebrate the dark energies of Samhain. Playing over Halloween and The Day Of The Dead, the shows will also celebrate the 30th anniversary of the band’s revered anthem ‘Moonchild’.